Australia remains a favourite destination for those wanting true relaxation and vast areas of natural beauty. “Oz” is full of incredible contrasts from a vibrant cosmopolitan city such as Sydney to the incredible nature in Tasmania. In the heart of this magical island, lies the Franklin River. Saved from a dam in the 1980’s, the river is home to some spectacular aboriginal heritage and wildlife such as platypus, plentiful in this untouched World Heritage Site. You’ll take on some excellent white water whilst on your trip such as “The Churn, Thunderush and The Cauldron.” After the trip, you’ll return by float plane back to Hobart, the perfect end to a wonderful holiday. An iconic river, well worth the journey. This spectacular journey along the length of the Franklin River takes you to one of the world’s last, ancient, unspoilt rainforests. 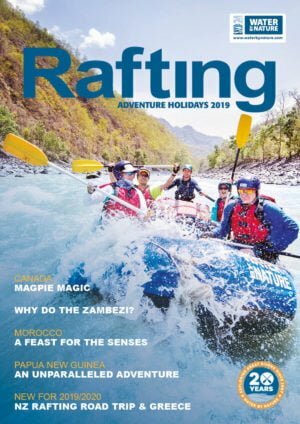 As part of your rafting trip you’ll hike the spectacular Frenchmans Cap as well as rafting through one of Tasmania’s most spectacular gorges. One of the great white water rafting destinations of the world.